An accident has dramatically altered twelve-year-old Caleb Rupert's dad's personality and torn his family apart. A neurosurgeon, however, believes that surgery might restore his dad to his former self. Caleb must be removed from the scene for a few weeks and is sent to stay with Uncle Charlie, deep in the woods of northern Canada. Caleb barely arrives at his new home when he is met by three young people living nearby - tough-talking brothers, Pete and Ike, and Catfish, a no-nonsense girl with an incredibly sharp tongue. Caleb also discovers the fact that Uncle Charlie has been keeping a number of ferocious wolverines captive on the island. Caleb's attitude toward these forbidding creatures changes dramatically when late one night he manages to rescue a wolverine mother and her baby from a deadly trap. 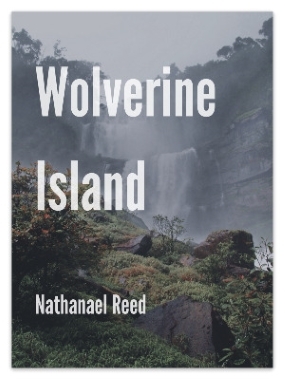 When Uncle Charlie decides to rid the island of the wolverines, Caleb knows he must act quickly to save them. Caleb and Catfish manage to help the wolverines escape the island, but end up stranded at the edge of Catchewana Falls when they realize that their raft was sabotaged.